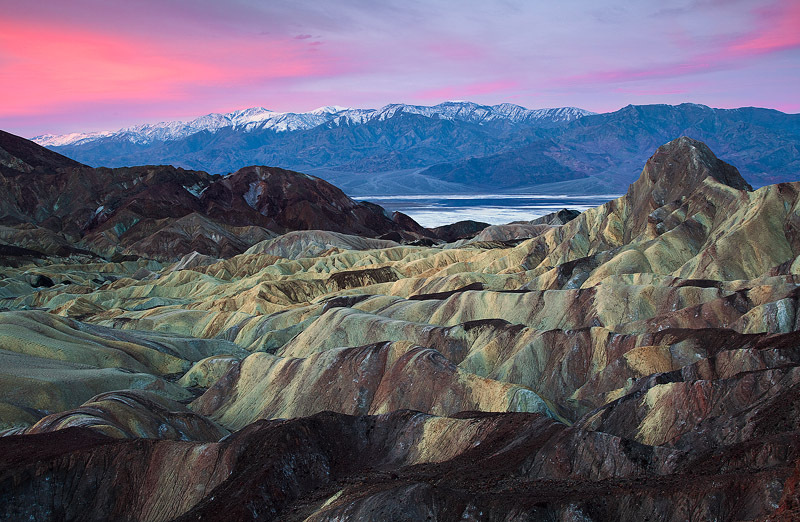 The pastel colors of dawn illuminate the surreal, rolling badlands near Manly Beacon & Zabriskie Point in Death Valley National Park. Beyond the badlands, you can see a large pool of water located in the salt flats called Lake Manly. This represents the lowest point in the North America, at 282 feet below sea level. What's even more amazing are the snow capped Panamint Mountains in the background rise to over 11,000 feet! Photo © copyright by Michael Greene.